For the past two decades, Army combat medics have been training to keep injured soldiers alive during firefights, but with the assumption that help is just a radio call away. That’s a fair assessment in uncontested environments against enemies without comparable air or fire power, but as the service prepares for future battles against near-peer enemies, the medical field is looking to train medics to handle injuries when it could be hours or even a day before a medevac can show up. “I don’t know if there’s necessarily a comfortable way to fight a war, but if you have to fight a war knowing that there’s an evacuation system available to pick you up within an hour, that’s on par with civilian emergency response,” Sgt. 1st Class Joey Hernandez, the lead instructor with the Army’s new Expeditionary Combat Medic program, told Army Times in a Feb. 28 phone interview. Those days might be over soon, so Army medicine is looking “beyond the golden hour,” Hernandez said, to give medics the tools to navigate a care plan beyond the initial triage of combat casualty care. The Army first began developing what became the Expeditionary Combat Medic course back in 2009, Hernandez said, borrowing from special operations combat care training, as well as the Air Force and Navy’s independent duty programs for enlisted first responders. With help from a group of 82nd Airborne soldiers, the Army began its first pilot of 10 68Ws last summer and graduated them in December. The course’s goal, Hernandez said, is to bridge the gap between a combat medic’s basic knowledge and the care a wounded soldier would receive once they’ve been transported to a battalion aide station, where a licensed professional could get to work. “We just don’t have the capability to put a medical provider such as a physician’s assistant or surgeon at that level for every possible company we’re fielding in combat,” he said. Instead, the Army would like to have one ECM-qualified noncommissioned officer at every company-sized level or above throughout Army Forces Command units. “Ideally this ECM can truly act as that senior enlisted medical advisor to their company commander,” he said. Medics with the training would also be able to manage illness in similar conditions. To do that, the course teaches medics to look beyond the procedure for treating injuries or illnesses, to understand why they’re doing what they’re doing and how they can make adjustments in prolonged care, when they know they’re not going to be able to hand a sick or wounded soldier off to a medevac quickly. Former Army Ranger Andrew Fisher thinks tens of thousands of civilian lives could be saved each year if more people received training like troops do on tourniquet use. 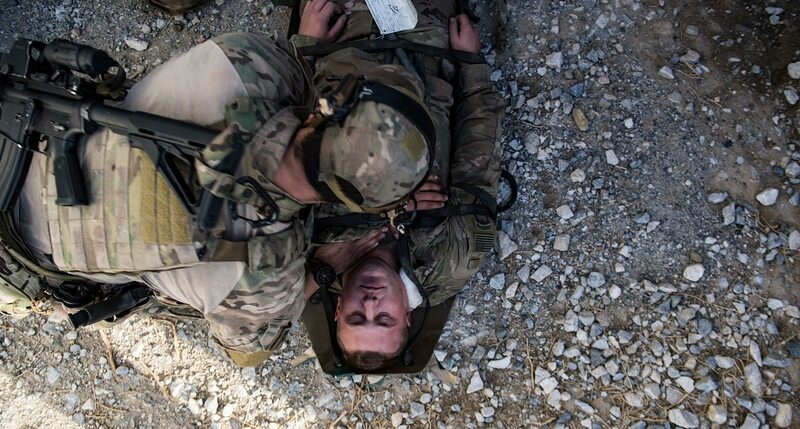 Or, if a soldier needs needle chest decompressions to relieve pressure, they should know when to switch to a tube and how to prepare the equipment for it. 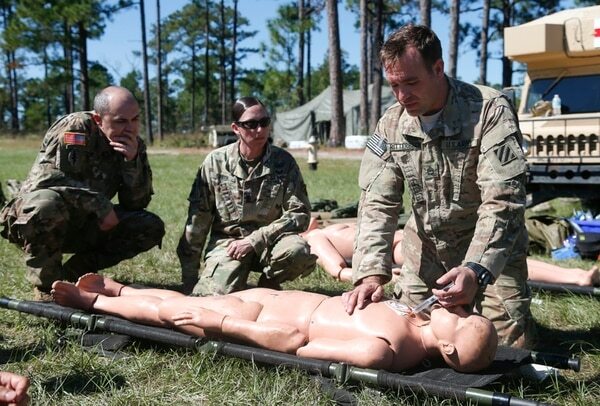 While the ECM program had the benefit of loaned 82nd soldiers for the first pilot course, future training will take place at Joint Base San Antonio, Texas, where the Army trains all of its medics. The original plan was to send soldiers to the training on temporary duty, Hernandez said, but feedback from the first pilot showed that the program would be better off as a permanent change-of-station move. For voluntary training like ECM, commanders will be more likely to send their soldiers not only if they have an understanding of what the training is, but if they know they will get a replacement. “When a commander doesn’t know what he’s losing one of his soldiers to go to, it’s hard to expect that they’re going to be willing to do so,” Hernandez said. The second pilot, which begins in April, consists of 24 new and experienced medics from around the Army. The program is looking for medics relatively early in their careers, from junior E-6s to experienced E-3s, “just to see how young we can start recruiting them,” Hernandez said. The idea is to find a sweet spot where medics have some time in an operational unit and are prepared to start building on what they know, if they have the motivation. The program is planning to start a third pilot next January. Interested medics can send requests for information to usarmy.jbsa.medcom-ameddcs.mbx.ecm@mail.mil.